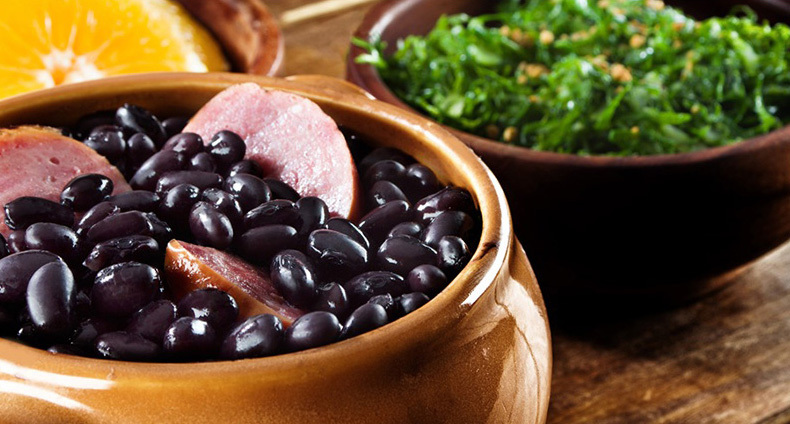 This dish – made from black beans and pork – Is the favourite, and national dish of Brazil. Brought over to Brazil by Portuguese immigrants, the Brazilians have now adopted it as their own. A basic stew, where pork meat and pork trimmings are cooked over a low heat in a large pot alongside black beans. Smoked sausage or jerked beef is also added, and sometimes vegetables are added on top. After cooking for upwards of a day, this hearty stew is ladled out, to be eaten with rice, and afterwards oranges. One of the few dishes eaten through the entire breadth of Brazil, Feijoada is a must try. Brazilians love their barbeque, and boy do they do it well. Whenever a family decides to have a barbeque it will usually be a large feast. Mammoth sized pieces of meat are stuck on skewers and char grilled over a coal fire – or a wood fire if being extra traditional. 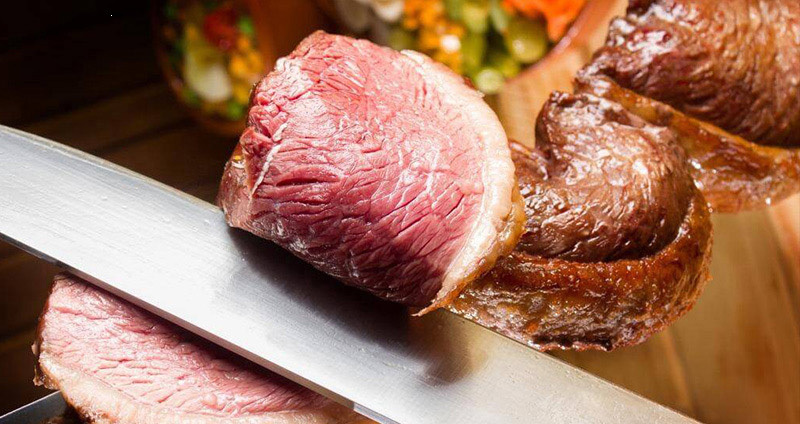 All manner of meat is appreciated, but the king of meats to Brazilians is the rump cut of beef, they call picanha. Some of the stranger things you may see at a Brazilian barbeque are chicken hearts and queijo coalho, a type of squeaky cheese. Of course you do not need to find a very accepting family to take you in to have a barbeque, there are many barbeque steakhouses called churrascarias where you can have all this sliced straight on to your plate. 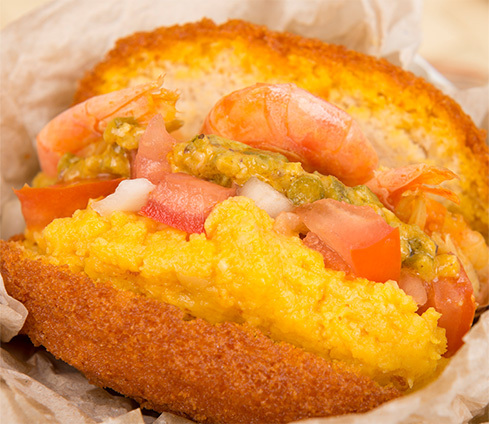 Hailing from the glorious class of street foods, this fried delight is as delicious as it is fatty. Great after having few drinks, acarajé is made from a patty of crushed black-eyed peas, palm oil and pureed onions. This is all deep fried into a fluffy ball, then split open and stuffed with dried shrimp and vatapá – a puree of spicy prawns, bread and cashew nuts. Other fried Brazilian bar top delights include pastéis. These are deep fried wallets of pastry filled with all manner of ingredients. Basically small fried pies, fillings range from chicken and potato, creamy palm heart, minced beef, salt cod, anything that sounds delicious. This is a berry that has been quite popular recently, adored for its health benefits across the globe, but it originated in Brazil. 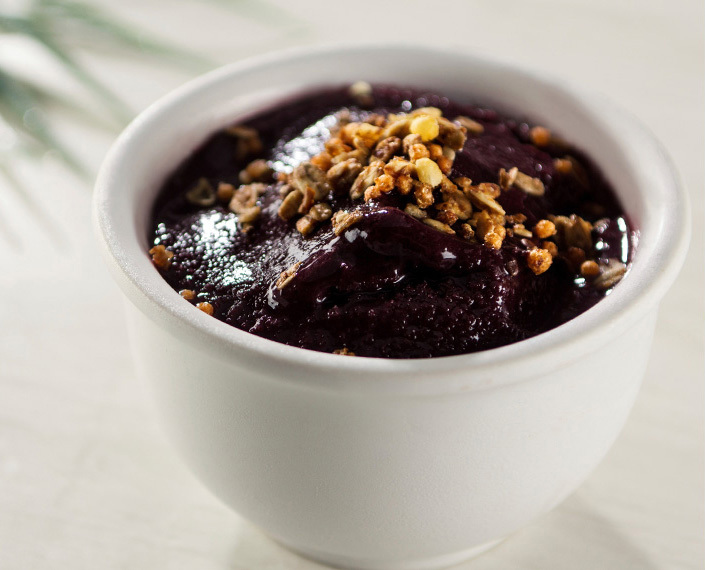 Originally eaten by tribesmen for a burst of energy, this berry has made its way across Brazil into cafés, juice bars, bakeries and restaurants across the country. The best way to enjoy this berry in Brazil is frozen cold. The berry is turned into a sweet and soft sorbet, served for dessert topped with toppings of choice, usually granola or bananas. If you have a bit more of a sweet tooth you can try brigadeiros. These are small truffles made from combining sweet condensed milk, cocoa powder and butter, then rolled into balls and covered with chocolate sprinkles. Of course there is more to eat than just these few listed here, so explore and try all that Brazil has to offer.